You’ll rarely get a discount if you don’t ask. Be polite and reasonable when making an offer, or you risk insulting the seller and leaving empty-handed. Point out flaws if you must, but never insult a seller’s wares as a bargaining tactic—it will probably backfire on you. Don’t let crotchety dealers rattle your cage. If they don't want to bargain, be ready to move along and deal with someone else who will. When you recognize a real sleeper, generate some good karma for yourself and pay the seller's asking price. You'll both walk away happy with the deal. Next, take a look at strategies for bargaining in a number of different selling venues commonly frequented by antique-collectors. It's pretty customary at garage, yard, and tag sales—all terms for the same type of venue—to make offers on merchandise. If an item is marked $30, offer $20 and see what the seller thinks. Don't be surprised, however, if he counters with $25. Keep in mind, however, that making a low-ball offer just as the sale begins won't win you any points with a seller, particularly if the sale has just begun. If you find something you really want early in the day, be prepared to pay full price or accept a nominal discount. To get the best bargains at garage sales, return late in the day. If a piece was priced very high early on, the seller may come down in price significantly as the sale drags on. At that point, they might rather accept a lower price than drag the unwanted item back in the house or donate it to charity. Most estate sales these days are run by professional liquidation companies, and the prices on the first day of the sale are usually not negotiable. However, prices are usually reduced the second or third day, depending on the length of the sale, and usually in increments of 25 percent, although some will go half price the second day of a two-day sale. ​If discount policies aren't clearly posted, don't be shy about asking one of the estate sale workers when prices will be reduced. The number of items left for a discount on the second or third day depends on how reasonable the prices were marked in the first place. If merchandise seems to be flying off the shelves on day one, don't count on the piece you have your eye on to be waiting for you once discounts kick in later. As they say, buy now or cry later. Occasionally, you'll run across an estate sale being conducted by a family. Although merchandise may be offered throughout the house, these sales are more like garage sales in terms of pricing and discounting. You'll usually have more leeway bargaining here, even on the first day of the sale. Try making an offer just as you would at a true garage sale. Most flea market sellers expect to be asked for some sort of discount, usually in the 10 percent to 25 percent range, and they price their merchandise accordingly. 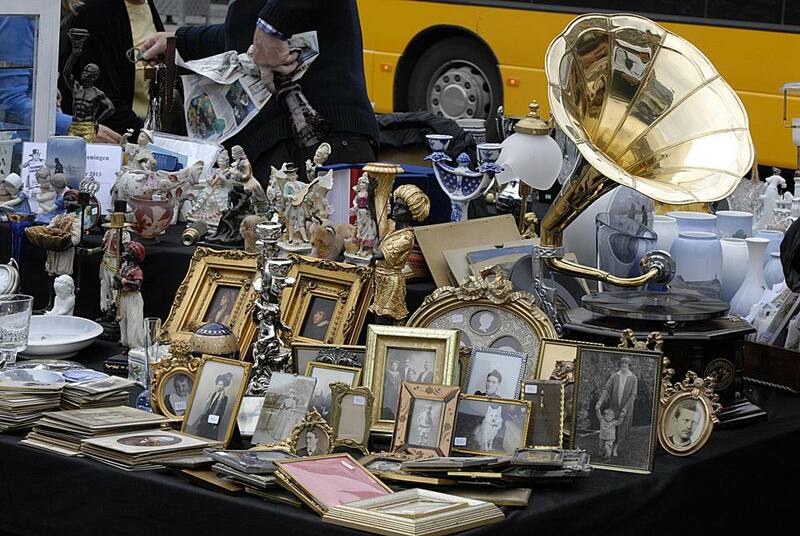 To get the best deal, it’s wise to ask a flea market seller for a “best price” rather than making an offer. A dealer may go lower than you expected when quoting a price. For example, if an item is marked $38, your bargaining instinct might lead you to offer $35. But what if the dealer was willing to go to $30? You could get another $5 off by allowing them to state the price. Don’t be afraid to make a reasonable counteroffer if the dealer doesn’t go as low as you’d like. Don’t be too surprised, however, if they stick to the price they originally quoted. If you can walk away at that price, think about coming back a little later in the day to see if they've changed their mind about taking a bit less. In the case of most single-dealer antique shops, you’ll be working directly with the owner or the owner’s agent, such as a store manager, when negotiating for a better price on antiques and collectibles. The person you’re dealing with will likely have the power to cut prices, sometimes significantly, when they see a good opportunity to make a sale. It’s better to use the “best price” method here, rather than making an offer, just as you would at a flea market. You never know how long a seller has had a piece in stock, or whether business was off that week and they really need a sale to pay the rent. The price they quote may be far below what you expected since they'd rather make the sale at a marginal profit than let you walk out empty-handed. You're always welcome to make a reasonable counteroffer if they don't go quite low enough. These folks are prepared to play the game with you. Sometimes the dealer will accept your counter; other times, they will not. Some malls only offer discounts to dealers, and you must have a tax exemption certificate on file to qualify for even 10 percent off. However, if you ask, most multi-dealer establishments do offer at least a 10 percent discount on items priced above a certain threshold—usually in the $20 to $100 range. Any mall staffer you run across while shopping should be able to answer your questions about discounts. Look for ND on tags. Some mall sellers mark tags “ND,” which stands for no discount. This usually means that the seller has priced the merchandise as reasonably as possible considering what they paid for the piece, and they aren't willing to negotiate further. In some instances, you can have mall personnel call the dealer to make an offer on ND merchandise, but this isn't common practice. Mall workers often have a feel for which dealers will work with customers on ND merchandise, and will guide you accordingly. You can sometimes bargain directly with sellers. If you happen to run into a dealer working in his booth, or the mall is a co-op and the dealer is working that day, consider yourself lucky. While it doesn't happen often, you might be able to garner a better discount or negotiate on ND merchandise working one on one with a booth owner. The dealer avoids paying mall commissions this way, and can often pass those savings along to the customer. Keep in mind, however, that some antique malls discourage this practice and others strictly forbid it. Respect sellers who tell you they risk losing their booth lease for dealing directly with customers, and try to curb your persistence in these instances. Another option is picking up a card in the booth, where available, and either email or call the seller directly. You risk having the item sold out from under you doing this, but it could get you a better price—if you're willing to risk it. Although you might not see them as places to find bargain antiques, antique show negotiating is very similar to that employed at flea markets. Asking for a “best price” is usually the way to go. The main difference is the type of show you’re perusing, which ranges from those actually similar to flea markets with everything under the sun on display to high-end charity antique shows with vetted dealers. Dealers in all types of show settings realize it's customary for shoppers to ask for reasonable discounts. Be aware, however, that some will welcome it more than others. Occasionally you’ll run across a show dealer who demands full price with no exception, and the way they respond to your request for a better price may be nothing short of rude. They'll seem insulted that you even thought to ask for a discount. The hard part about this is that you don't know how they're going to react until you go ahead and ask. In these instances, you can choose to begrudgingly pay the asking price and reinforce the belief that they don't have to consider discounts (or even be polite about it!) to make sales. Or, you can simply move on and do business with someone who knows how to treat their customers with respect. Most dealers, however, will treat you decently when you show them the same courtesy. Expect 10 percent to 25 percent off when you ask for a better price and make a counter offer, when needed, and you'll usually strike a deal in these venues. Know that checking back with a dealer at the end of a show if a piece is still available never hurts. Sometimes they'd rather sell at a discount than haul a piece back to their shop. Should You Invest in Vintage Luxury Watches?